Elective hip replacement surgery has grow in popularity to where it has become has become one of the most common surgeries in the U.S. with hundreds of thousands of operations performed year. This is partially because younger patients are getting artificial hip implants and because of the massive marketing push by the medical device manufacturing firms. The problem occurs when companies rush dangerous defective artificial hips onto the market without taking the time to do proper and required safety testing. According to a recent news article from MedGadget, a new sales index and forecasting system is evaluating the global hip replacement market and has estimated that sales are to reach $5 billion a year by 2021. These companies are making a lot of money and they are trying to show “healthy” growth from quarter to quarter. 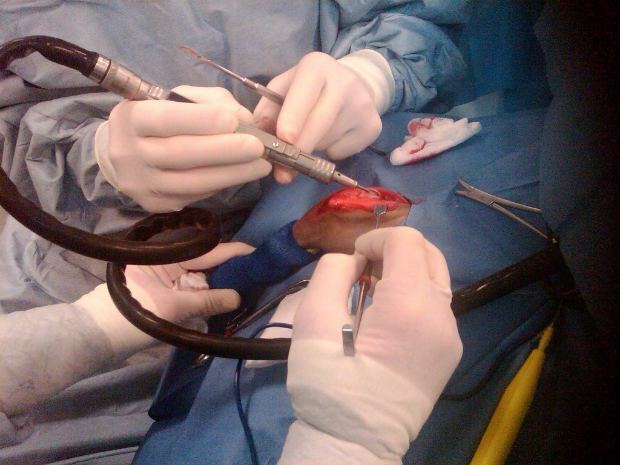 While this is done in the name of efficiency to make shareholders happy, it also leads to corners being cut at the expenses of patients who have no idea they are about to receive a defective hip implant that can cause tremendous pain and suffering, lost time at work during the surgery and recovery, and many other types of legal damages. As our Boston defective artificial DePuy hip injury lawyers can explain, there have been various models of implants that have led to serious problems due their respective makers’ negligence. For example, the DePuy Pinnacle or ASR knee was designed with previously unheard of metal on metal design. This was unheard of because as many plaintiffs have discovered, a metal on metal artificial hip is not a good design. Most artificial hips are constructed from polymers and ceramic and do have some metal parts such as the anchoring system, which is essentially a spike implanted in the patient’s femur, but they do not feature a metal socket and and a metal ball joint. This design had various flaws. In some cases, the joint will cause surrounding tissue to give off a protein substance that will coat the artificial joint. When this occurs, it will cause friction, and that will lead to the metal breaking down. In some cases, the metal would emit metal shards that would enter a patient’s blood stream or the surrounding tissues. These metal ions caused a form of poisoning known as metalosis. While the company still disputes the existence of metalosis, the U.S. Food and Drug Administration (FDA) specifically lists the danger of these metal ions in metal on metal hip implants in its patient publications. In other cases, the friction would result in a misalignment of the ball and socket joint and that could lead to a total device failure. These devices were not made to last forever, but they should last for over a decade. If you have had a metal on metal hip implanted less than 10 years and have been told you need to have it replaced, absent any traumatic injury that caused the issue, you should contact an experienced Boston hip injury lawyer as soon as possible to see if you have products liability claim. We now know that the company did not follow proper safety and efficacy testing methods pursuant to the regulations of the FDA and the European equivalent of the FDA. This means that the manufacturer knew or should have known of a serious defect or danger and did not disclose that risk to the orthopedic surgeons or prospective patients. The company never actually disclosed the problems, but took it the artificial hip off the market when enough doctors learned of the problems and stop using them. This led to declining sales, and that eventually led the company to pull the product for reasons of poor market performance. Relying on a market correction while not disclosing a known danger is negligent conduct and the basis for the many products liability claims in Boston and around the U.S. In addition to a claim of failure to adequately warn of a known danger, another claim that can often be brought involves the negligent manufacture of a dangerous or defective artificial hip. This brings up a complicated issue. When you go to a car dealership and purchase a car, you are buying what is essentially a consumer good. When you go the dentist to have a cavity filled, you are paying for a service. Even though the dentist takes a container of tooth cement or metal and applies it to your tooth, you are not really thinking you are purchasing that cement. In some cases, however, you are effectively purchasing a product such as an artificial hip. This means that certain implied and express warranties come into play. When a company manufactures a product, they are extending an implied warranty of merchantability under the Uniform Commercial Code (UCC) as adopted by Massachusetts. The warranty of merchantability means that the goods are fit for the purpose for which they were designed and sold. For example, if you purchase a wrench and the metal is so fragile the handles snaps off the first time you go to tighten a bolt, this bolt would not be fit for ordinary purpose. If you attempted to use it to support a table and it did not work, that is the not the ordinary purpose so the warranty would not apply. If you purchase an artificial hip and it fails to function as a working artificial hip, that could be a breach of this warranty. There will however, be a requirement that it was actually defective and failed to function as such and this is not something the manufacture is so quick to concede despite credible evidence as support. For this reason, the best thing a plaintiff with a defective hip injury should do is to speak with an experienced products liability attorney in Boston who actualy has experience with representing clients in this matters.